The Board of Directors of the American First Day Cover Society, the largest not-for-profit organization in the world specifically for FDC collectors, has elected officers for one-year terms. At the same time, the Board also re-elected Mark Goodson of Indiana for its chairman. The 2019 AFDCS officers will be Lloyd de Vries of New Jersey, president; Michael Litvak of California, executive vice president; Jim Hogg of Florida, first vice president; Ralph Nafziger of Oregon, recording secretary; and Mark Thompson of Tennessee, treasurer. This will be Thompson’s first term as treasurer; he also serves as advertising manager for First Days, the official journal of the AFDCS, and will continue to do so, and has been a member of the board for two years. AFDCS officers are not compensated, nor reimbursed for their travel expenses. The Executive Committee, which also includes the executive secretary, immediate past president, editor, membership and education chairs, and the general counsel, conducts business throughout the year and meets each year at Americover, the society's annual show and convention, which in 2019 will be held July 26-28 in Saint Louis, Mo. The AFDCS board will also meet at Americover and conduct other business throughout the year. 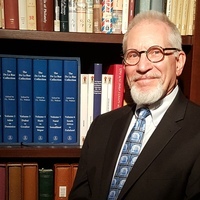 Frederick P. Lawrence of Arizona will head the exhibits jury at Americover 2019, a World Series of Philately show that will be held July 26-28 in Saint Louis. He will be joined by Robert D. Hohertz of Minnesota, Jerry H. Miller of Illlinois, Allison Cusick of Pennsylvania and David S. Ball of Massachusetts. The prospectus can be downloaded here or obtained by regular mail from Kerry Heffner, 17656 K Street, Omaha, NE 68135-3491, or e-mail at exhibits@afdcs.org. The deadline for entering the Americover 2019 exhibition is June 1, 2019, or whenever the 160 available frames fill up. The emphasis at Americover is on First Day Cover exhibits, and about three-fourths of each exhibit should consist of FDCs and related material. Miller has won nine grand awards with different exhibits at WSP exhibitions and is director of the American Association of Philatelic Exhibitors’ Exhibit Critique Service. Cusick began seriously collecting first day covers nearly 50 years ago, and has served the AFDCS as president and in other capacities. He is a past winner of the society’s Distinguished Service Award and was just appointed chair of the DSA committee. Ball is the U.S. delegate to the International Federation of Philately for Astrophilately (space- and astronomy-related material). He is also president of the Northeastern Federation of Stamp Clubs and a past executive director of the Spellman Museum of Stamps and Postal History. As a WSP show, the winner of the Grand Award at Americover 2019 will be part of the Champion of Champions competition at StampShow 2020. Charles J. O’Brien, III, winner of the 2018 Grand with Frank Lloyd Wright-First Days and Usage of the Two Cent Issue, will represent Americover this summer in Omaha, Nebraska. In addition, if six or more competitive single-frame exhibits are entered, the Curtis B. Patterson Award recipient for the best single-frame exhibit will be invited to enter the APS Single-Frame Champion of Champions competition at Saint Louis Stamp Expo in March 2020. Besides its Grand and Reserve Grand awards, Americover offers special awards from both the AFDCS and other philatelic societies, including ones for best exhibits of foreign FDCs, topical FDCs, and pre-1931 FDCs, best exhibits by a novice and a youth, and best single-frame exhibit. The AFDCS Auction Committee is proud to present the new Auction “Thank You” Cover #9, created by the award-winning cachetmaker, Dave Bennett. 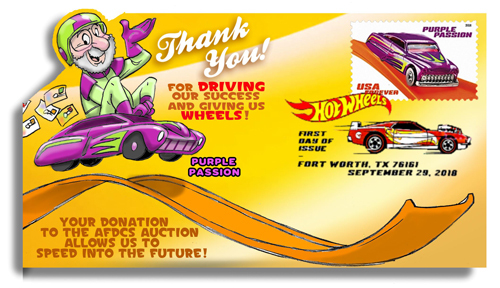 As you can see, the cover is a pop-up FDC for the 2018 set of ten Hot Wheels stamps. 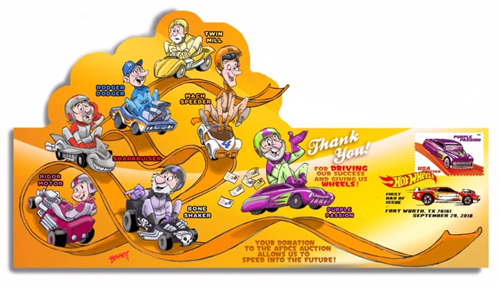 The cachet features caricatures of the seven Auction Committee members driving their favorite Hot Wheels car. Each FDC is serviced with one of the stamps tied to the cover with a Digital Color Postmark. If you’re a first time donor, consider making a worthy contribution to the AFDCS auctions to support the only philatelic organization devoted to the collecting of First Day Covers and related material. Just in time for the 50th anniversary of the historic event, the newly-revised edition of the first day cover catalog for Sc. C76 Moon Landing has 160 more items than the previous (2016) edition, thanks to the work of David S. Zubatsky and Bill Pry. Published by the American First Day Cover Society, it may be purchased and downloaded by clicking this link. The price is $30 for members or $35 for non-members. Printed copies (unbound pages) are $37 and $42, respectively, and may be ordered online or from AFDCS Sales, Post Office Box 44, Annapolis Junction, MD 20701-0044. The original 1975 edition, by Monte Eiserman and Harry L. Anderson, contained black-and-white illustrations of 205 FDCs, history of the designing and production of the stamp, the first day activities, plate number information, postmarks, and descriptions of the three first day ceremonies. Now, nearly all the 1,372 illustrations are in color. 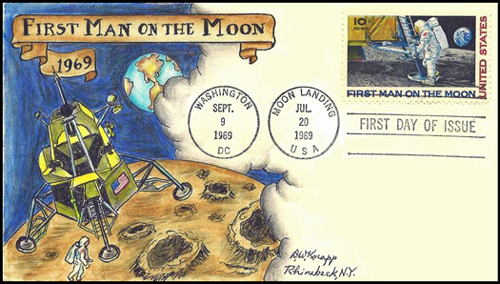 The catalog includes a section, "Paul Calle: Putting His Stamp On The Moon,” about the artist who designed the stamp. "The 1969 First Man on the Moon stamp is the most iconic space related stamp ever issued," says stamp designer Chris Calle, Paul’s son. "As a collector of the C76 issue this is a most welcome catalogue for space collectors worldwide." 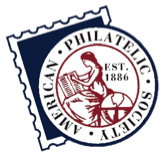 An American Philatelic Society "On The Road" series seminar, "Introduction To Seaposts: Ship Letters, Packet Mail, Paquebots And More," will be offered the day before the start of Americover 2019. The annual show and convention of the American First Day Cover Society will be held July 26-28 at the Renaissance Saint Louis Airport Hotel. The course will take place on July 25 at the same venue. The program will explore the many aspects of how mail was transported across the oceans, while examining the “four pillars” of postal history: rates, routes, means, and marks. More information available via this link. Gary Wayne Loew, author of the forthcoming book Mastering Postal History, will be the instructor for "Seaposts." He has written dozens of articles on postal history for such publications as The Collectors Club Philatelist and Philatelic Literature Review, as well as a regular column for Kelleher's Stamp Collector's Quarterly. He is a member of both the APS and the AFDCS. The cost of the course is $45 for APS members, $95 for nonmembers. The deadline for registering is June 30. Register for the course on the APS website. The special Americover 2019 hotel room rate of $104 is also good for the nights before and after the "Seaposts" seminar. The show also includes a dealer bourse, cachetmakers bourse, World Series of Philatelic exhibits, other seminars, meetings, auctions, a U.S. stamp ceremony, and a nightly hospitality suite. Non-collecting spouses may find of interest the pre-Americover 2019 tour of Saint Louis tourist attractions, which will be held at the same time as the "Seaposts" course. Members of the American First Day Cover Society, the largest not-for-profit organization in the world specifically for FDC collectors, have elected four people to its Board of Directors for three-year terms that began January 1, 2019. Scott, Nafziger, Kelsey and Bailey were elected to the Board. Nafziger, Kelsey and Bailey are incumbents. Scott has served on the Board before. There were 155 ballots submitted, of which 152 were valid. There were also write-in votes for D.A. Lux, Eric Wile and Mark Thompson (who is already on the Board). Scott is a past Americover show chair. Nafziger is currently Recording Secretary, while Kelsey is Executive Secretary. Bailey is a past AFDCS Sales chair. Board chairman Mark Goodson thanked Elections Committee chair Otto Thamasett and committee members Neal Parr and Foster Miller, all members of the Robert C. Graebner Chapter of the AFDCS, for their work in counting the ballots in this year's election, and the Nominating Committee chaired by D.A. Lux for recruiting the candidates. He also thanked retiring Director Allison Cusick for his many years of service on the AFDCS Board. Cusick, by the way, will now chair the Distinguished Service Award committee, a post which may only be held by a past DSA winner. Four seats on the AFDCS Board of Directors are elected each year for three-year terms, beginning Jan. 1. In addition to the 12 elected directors, the president, the editor of the official journal First Days, and the general counsel serve on the board ex officio, if not elected to the board in their own right. The current board, plus directors whose terms expired on December 31, will now vote for the elected officers (president, executive vice president, first vice president, recording secretary, treasurer) and a chairman of the board, to serve one-year terms. AFDCS directors are not compensated nor reimbursed for their travel expenses. The board meets annually at Americover, the society's annual show and convention, which in 2019 will be held July 26-28 in Saint Louis, and conducts business via other means throughout the year. 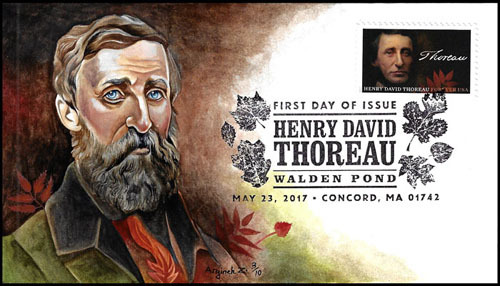 Entries are now being accepted in the American First Day Cover Society's annual cachetmakers contest, where the best FDC designs from the previous year will be chosen in 18 categories. The entry fee for adults is $5 if the cover is donated to the Society, or $10 if the cachetmaker wants the FDC returned. Youth entries are $2. A cachet is the artwork on a first day cover envelope that complements the new stamp. These designs can be as simple as a few words of text or as complicated as an oil painting or mosaic. Typically, the media used in the entries to an AFDCS cachetmakers contest range from colored pencils and markers to acrylic paints, woodblock prints and movable parts. The categories include hand-painted with no mass production of any kind; hand-colored; computer-produced; one-color; event (not first-day) covers; Rookie of the Year and two age groups for young cachetmakers. There is also the top award, which cites what the three judges feel is the best cachet submitted in the entire contest, regardless of the media used. Last year’s top cachet by Argineh Zadoorian is pictured above. The American First Day Cover Society is seeking exhibits for Americover 2019, a World Series of Philately show to be held July 26-28 in Saint Louis, Missouri. The prospectus is now available on the AFDCS website by clicking this link, by regular mail from Kerry Heffner, 17656 K Street, Omaha, NE 68135-3491, or e-mail at exhibits@afdcs.org. The deadline for entering the Americover 2019 exhibition is June 1, 2019, or whenever the available frames fill up. The emphasis at Americover is on First Day Cover exhibits, and about three-fourths of each exhibit should consist of FDCs. Multi-frame, one-frame and youth exhibits are welcome. As a WSP show, the winner of the Grand Award at Americover 2019 will be part of the Champion of Champions competition at Stampshow 2020. Charles J. O’Brien, III, winner of the 2018 Grand with "Frank Lloyd Wright – First Days and Usage of the Two Cent Issue," will represent Americover this summer in Omaha, Nebraska. 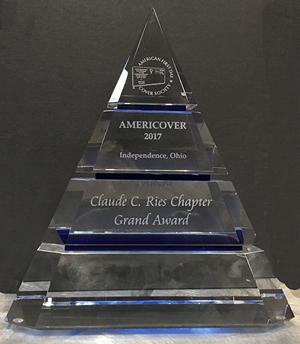 The Americover Grand prize is again a crystal pyramid provided by the AFDCS' Claude C. Ries Chapter. In addition, if six or more competitive single-frame exhibits are entered, the Curtis B. Patterson Award recipient for the best single-frame exhibit will be invited to enter the APS Single-Frame Champion of Champions competition held at a 2020 show to be determined. Besides its Grand and Reserve Grand awards, Americover offers special awards from both the AFDCS and other philatelic societies, including ones for best exhibits of foreign FDCs, topical FDCs, pre-1931 FDCs, best exhibits by a novice and a youth, and best single-frame exhibit. 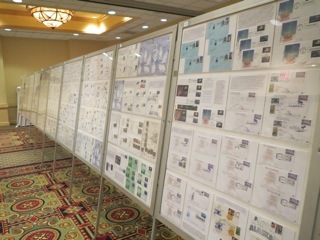 The three-day World Series of Philately show will be held at the Renaissance St. Louis Airport Hotel, and there is a special Americover room rate of $104. There also will be two bourses (commercial dealers and cachetmakers), a banquet, meetings, a youth table, a hospitality suite, live and silent auctions, seminars, a pre-show tour of the area, and a post-show evening dinner event. A first day ceremony is being sought. Unlike other WSP shows, Americover's exhibit awards are not presented at its banquet (which is held Friday night), but at the AFDCS Business Meeting Saturday morning.